(800) 541-5006LED Global Supply • Proudly Serving The USA. Use the Fast Help Instant Message Form Below. Our support team will provide you with product specifications, technical requirements and the best suited LED’s for your application needs. Our expertise will help you make the right LED Lighting choices. Call Our Tech Support For Your Specific Needs. We Offer Product Discounts For Multiple Item Purchases. Our LED High Mast Sports Flood fixtures are the Perfect Fit For Arenas, Ball Fields, Gymnasiums, Plaza’s, Airports, Parking Lots, Courtyards & Public areas. 1000 Watt LED Corn Bulb • SKU#: GS-CE40-200LS-W This LED Bulb Will Replace up to a 1,000 Watt HID in an Open Air Fixture. This 200 Watt, 25000 Lumen Commercial LED Corn Bulb is the perfect retrofit for 1000 watt Metal Halide & High-Pressure Sodium Lamps. Our LED High Mast Sports Flood fixtures are The Perfect Fit For Arenas, Ball Fields, Gymnasiums, Plazas, Airports, Courtyards & Public areas. 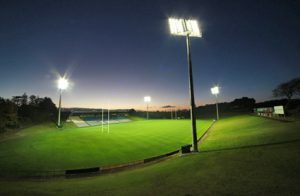 Our LED High Mast Sports Lighter fixtures are the Perfect Fit for Arenas, Ball Fields, Gymnasiums, Plazas, Airports, Courtyards and Public areas. Its 40° Beam Angle provides optimum light coverage at the High Mast Pole Heights. It features a 240° range of adjustment for easy setup/installations. With the solid state design they are an instant on and off and have no recovery time for on off switching. No hum, buzz or mercury. 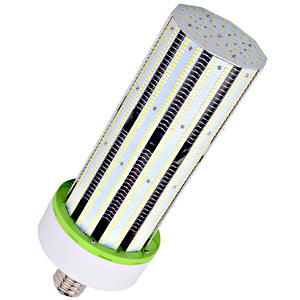 This dimmable 4 Foot LED T8 fluorescent replacement LED light bulb fits existing fixtures. This LED light bulb outputs 2150 Lumens of 4000/5000 Kelvin light, uses half the energy and lasts 5 times as long as a fluorescent. 50,000 hour life span. 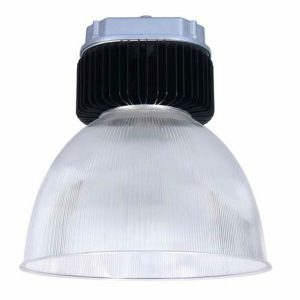 The Helix High Bay is an evolution of commercial high bay lighting. The slim luminaire brings superior glare prevention, light quality, and luminous efficacy. The Helix High Bay is deployed for use in distribution centers, manufacturing facilities, and large retail facilities with ceilings of 20 to 40 feet. The 80-watt 10400-lumen retrofit kit is the perfect retrofit for a 250-300 watt HID Bulb in fully enclosed fixtures. This 5000 K retrofit kit has a 180° beam angle with It is specifically designed for directly replacing HID in enclosed shoebox fixtures. 300 Watt LED Shoebox Fixture 1000 Watt HID Equivalent. Model 300 Watt LED Shoebox Light uses a Phillips Luxeon LED that produce 130 Lumens Per Watt. The 300 Watt LED Shoebox Area Light is able to create a comfortable visual experience with its type III distribution. 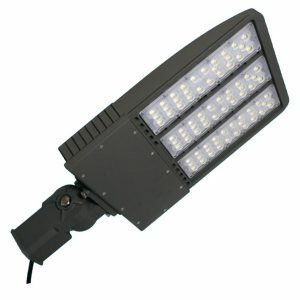 It is ideal for Roadways, General Parking and other larger areas where a larger pool of light is required. 150 Watt LED High Bay Fixture. The 150-watt LED high bay fixtures are made for high bay applications. 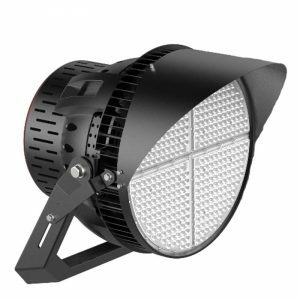 These work great when you need new high bay fixtures or want to save energy with your existing fixtures.. Great for indoor retail, commercial, and industrial applications. Great for hard-to-reach areas due to long lamp life and no maintenance once installed. Made with a polycarbonate lenses, Black cast aluminum housing and hanging hook. Each Lamp With a Plug, Easy To Carry And install. Metal guards for safety protection., UL, DLC4.0, CE, RoHS, LM79, LM80 listed, 5 years warranty, 6000V high voltage surge protection, IP65 waterproof rating provide better used in outdoor application, 80% Energy Savings, high brightness with Samsung or Epistar LEDs, Long lifespan up to 50,000 hours. 125 Watt Work light to replace a 500 Watt HID. 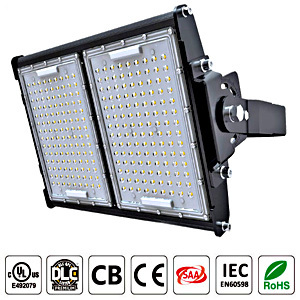 Compare To: 500 W HID, CRI: 80, Length: 12.60 inches, Kelvin: 5000K, Width: 5.91 inches, Wattage: 125 Watt, Volts: 100-300V AC, 12 Ft Wall Plug, Light Source: High Output LED, Lumens: 15,000 Internal Power Supply, Hook 10 Foot US Plug. LED Global Supply has been serving the LED Lighting Marketplace for over 13 years. Our clients benefit from the depth of our industry experience and knowledge of products. Customers expect and count on us to know what products are best suited for their specific needs and unique applications. The company was established by Michael Paganelli (CEO) in 2005. 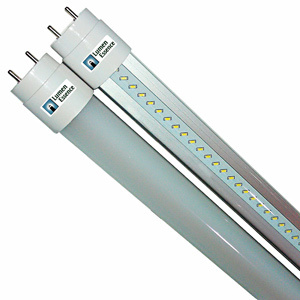 We source LED products at the right price so we can offer the highest quality LED lighting at ultra competitive prices. We offer the best prices and solutions without sacrificing quality and customer satisfaction. We stress and strive for operational efficiency to reduce our overhead in order to pass the savings on to customers. 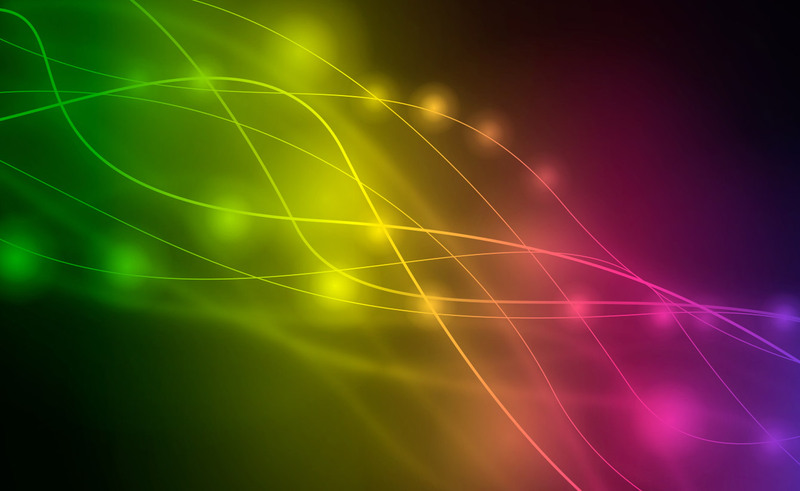 We take pride in offering superior customer service in the LED lighting industry. To achieve our goal of 100% customer satisfaction, we provide courteous and professional customer support for every product we sell, and every inquiry that reaches out for assistance or a purchase. We stand behind our products and sales. Cost Effective & Efficient Delivery. We maintain a local stocking inventory, and pride ourselves in Same-Day Shipping for all in-stock LED lighting products. Our inventory of products includes Commercial and Industrial LED’s as well as Residential Lighting of the highest quality. Let us help you dramatically reduce the energy consumption of your home, office facility and business. For fastest service, we encourage you to email your questions to sales@ledglobalsupply.com or telephone toll free (800) 541-5006 to speak to a member of our very knowledgeable and friendly technical staff. We’ll be glad to answer any questions you have and we can assist you in selecting an appropriate LED Lighting solution. If you prefer, you can use the contact form on the Fast Help Instant Message form (above). We will follow up with you within 24 hours, during normal business days. Live Chat is also available during normal business hours. Many of our products are DLC listed, for maximum rebate or incentive potential form your energy Provider! Most orders from our online catalog ship within 24 Hours. Our team of highly qualified sales and service staff is here to help you with any sales, or install questions you may have. Already purchased LED products from us? If so, we’re always glad to receive your suggestions. Use the Feedback form to contact us with your experiences.